The MF-200B on-ear headphones are a premium design, made from premium materials. They have a micro vented, inert enclosure, specially selected and paired 40mm drivers, and powerful neodymium magnets. The MF-200B has been specifically modified for balanced audio, with separate wired inputs into each ear cup, a thicker and better-insulated cable, and a 4-pin locking, balanced connector. They offer the accurate, faithful and transparent reproduction of the original recording that is the hallmark of all Musical Fidelity models, but with the added benefit of the smoother, more natural yet faster and tighter sound that is synonymous with balanced audio. The MF-200B headphones are ideal partners for the V90-BHA balanced headphone amplifier. The MF-200B is truly luxurious, with beautifully machined and polished metal, soft-touch leather and a high quality finish throughout. It has the Musical Fidelity signature feature of subtle earpiece colour coding to give instant recognition of left and right channels. It also features a tough, anti-tangle, rubberised cable and a choice of either padded leather or alcantara suede, interchangeable, ear pads with memory foam insert specially selected for both its acoustic properties and comfort. The earpieces can be folded when not in use, making the MF-200B easy to store in the included suede-effect carry bag. 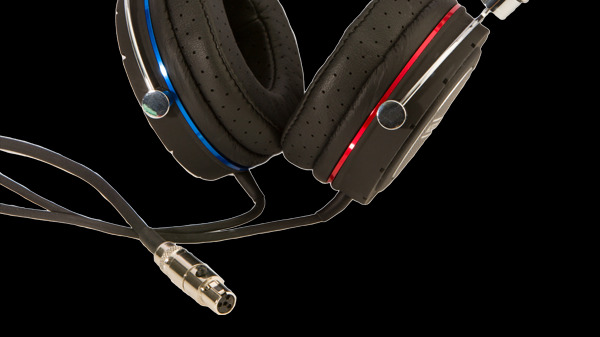 The balanced headphone connector between the MF-200B and V90-BHA is much larger than standard headphone jack, while its four-pin connection and locking mechanism allow for a better, more secure connection. Based on the recently launched MF200, the MF200B has the same choice of premium design and materials plus the same micro vented, inert enclosure, specially selected and paired 40mm drivers and powerful neodymium magnets of the original model. The MF200B has also been specifically modified for balanced audio with separate wired inputs into each ear cup, a thicker and better insulated cable, and a 4-pin locking, balanced connector. The balanced headphone connector between the MF200B and V90-BHA is also much larger than standard headphone jack while its four pin connection and locking mechanism allow for an all-round better, more secure connection.